It’s official. Winter is here and all across the country the weather is reminding us so. You’re probably accustomed to seeing recommendations for outdoor learning experiences in the spring, summer, and even autumn. You’ll most likely tend to look for indoor inspirations for your kids during the cold (freezing?) season, too. However, given the significant benefits of outdoor learning, it would be a shame to put a stop to your child’s progress. Guess what? You don’t need to! The winter offers an opportunity to get outdoors and let children digest all that the unique landscape of their locale provides. 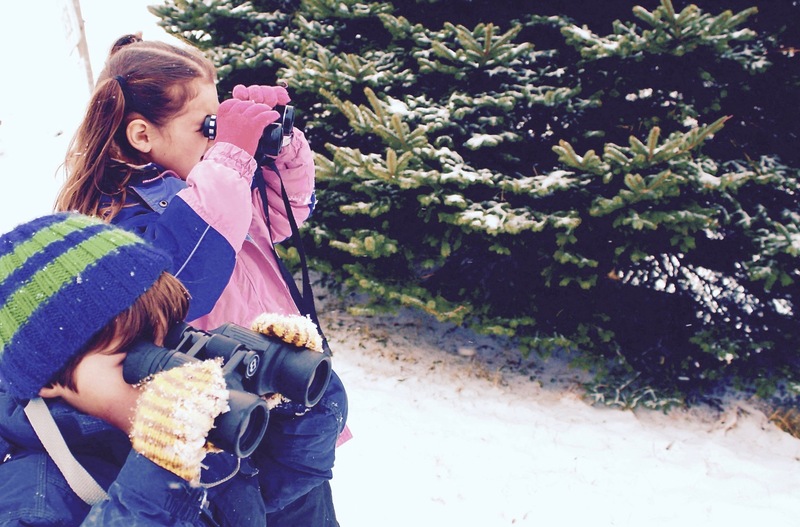 Let’s take a look at four suggestions on some great winter outdoor learning experiences for kids. We put a question mark beside this one because we know what you’re thinking. A walk passed your local urban garden may look like a post-apocalyptic wasteland to most, but to the more horticulturally informed, it is a period of transition. It’s important for children to understand this if they are to truly grasp the seed-to-table process. Take note of the crops growing around community gardens near you and do some research on those crops so that you can educate your child on what is happening to each fruit and vegetable within. If you live in a moderate to cold climate, chances are that there are crops growing that can withstand and even thrive in the cold. These include kale, carrots, leeks and others. Learn more about crops that thrive in cold climates and share the information with your kid before heading out on this winter outdoor learning experience. Create a checklist inspired by Mother Nature by identifying items that can be found at a local park or trail. This includes pine cones, bird feathers, leaves, seeds, tree nuts and anything else common to your locale. The concept works best when snow blankets an ecologically diverse green space near you. Snow provides a greater challenge in this winter outdoor learning experience. It is more fun for the kids and allows you to add another element – accessorizing a snowman with the goodies you find! Tie-in an additional reward at the end for completing (or partially doing so) the checklist, which can be anything from a hot cup of cocoa (with extra marshmallows) or a trip to the movies afterwards! While some animals hibernate in winter, others thrive. Enjoy another form of a scavenger hunt, with more animate “objects” on the checklist. Ecological reserves near you will look at lot different at this time of the year, with varying species of wildlife navigating the terrain. Perform some research and teach your kid about the variety and behavior of theses species while visiting them in their winter habitat. For example, the Maplewood Conservation Area in North Vancouver is a hotbed for waterfowl in the winter. Alternatively, Boundary Bay (Delta, BC) has large flocks of wintering blackbirds and European starlings. On a grander scale, there are wildlife tours that will provide you and your child with up-close access to all sorts of furry creatures. For example, if you reside near the Canadian Rockies, a local tour can present you with the opportunity to see and learn all about elk, deer, osprey, pika, moose, mountain goats and more. Wherever you are in Canada, winter wildlife is abundant. You just have to know when and where to look, which is where the research and education for your child kicks in. Your outdoor learning activities will be accompanied by photos. This has become a default “setting” now that we live in the world of photo-ready smartphones and tablets. However, little thought goes into the process itself and instead focuses solely on the subject. Balance this out and turn your outdoor adventures into a photography lesson. Photography can teach kids valuable skills, including concentration. It also helps them develop their inner voice as they express creativity behind the lens. It can strengthen their connection between a subject and their own feelings. This is evident in photography’s role as an effective form of expression for children with autism. The core concepts of photography of framing, timing, focus and perspective can apply to other areas in their life and education. Winter is a perfect time to take on this hobby. Snow makes a great subject in itself, requiring special attention to zoom functionality for the small details. But the timeline surrounding the solstice offers a prime opportunity too. Shorter days allow you to take advantage of dramatic changes in natural light, without having to wait for the sun to set in the late afternoon. Natural light’s impact on a subject requires careful analysis of camera settings and positioning. This encourages problem solving that delivers a very clear reward – a great photo! This outdoor learning activity will be very popular with your children. Do you have any winter activity ideas for kids that you would like to share? We’d love to hear about them! Follow our Foundation on Facebook, Twitter, and/or Google+, find this article on our recently published posts and leave a comment. 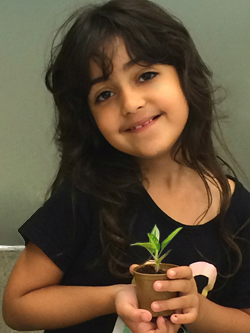 The Plant a Seed & See What Grows Foundation also encourages you to help us help children at this important time of the year. Please visit this link to learn more about our work in Canada and be a Friend of the Foundation.